In this thread I will attempt to show why we think our up pipes are better. In the past everyone has been curious about the manifolds. I have been skeptical about doing this because as we and you learn together so does our competition. In the end I am showing my competition how to make better parts themselves, but educating the consumer is more important to me. If this thread goes well I may do it for other stuff also. I am not slamming anyone's product here. Just posting what I think. Ask any non vendor specific questions you have. Last edited by RickDLance; 02-19-2017 at 08:33 AM. First lets talk about the flanges. The factory and most all of the aftermarket ones except ours have slots and oversize holes. 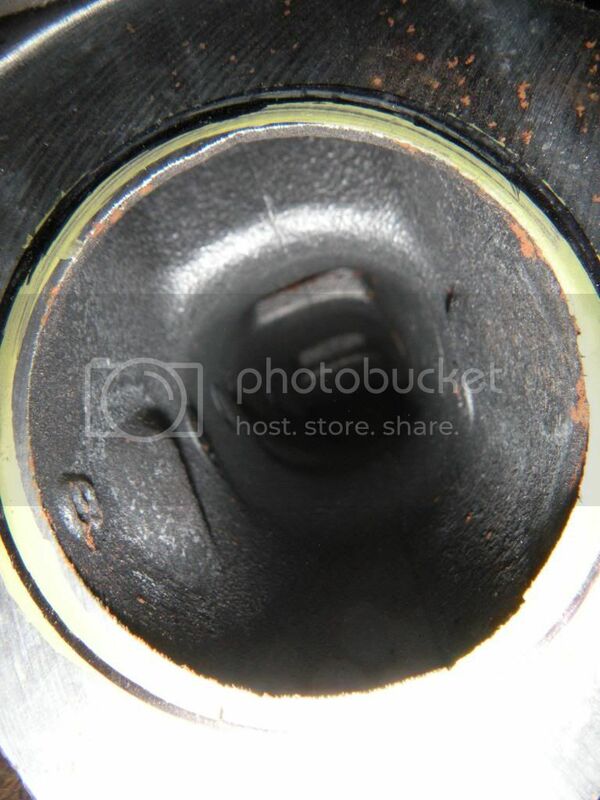 In the picture bellow you see the slots and oversize holes on the lower flange. This allows the manufacturer a huge amount of tolerances when manufacturing. This also allows for a misalignment of the tubes inside. With a little work I got a pair of flanges to fit like the one above would. Here is a picture of them. See the huge misalignment at the bottom of the back bracket. This would create a ton of turbulence and likely hurt the flow as well. Next we can use the same picture as above to talk about flow again. I've cropped it for greater detail. Look inside the flange. See that weld? Nice looking weld isn't it?? Only problem with that weld is it should be smoothed out, or better yet on the outside. You don't need or want the turbulence. You thought you were putting on something better than stock.....Not the same or worse! Now look at a picture of our up pipe inside the flange. This is nothing special for us. We gasket match and blend EVERY up pipe. We want a smooth and as much as seem-less transition from part to part as possible. Last edited by RickDLance; 02-19-2017 at 08:28 AM. Next we move on to the inside of the tube. More specifically where the bellows is. We learned the hard way years ago that either the material the pipes were being made of needed to be better or at the very least thicker. This is where this issue is. Although I have a camera I can look in side the pipes with I can't seem to figure out how to get that image to this post so I will show it as if we are making an up pipe. Below is a picture of the inside of the bellows we use. Very smooth and slick. Can you see where the air would flow right through? But what about milage? And performance for the guys in 700-800hp range? 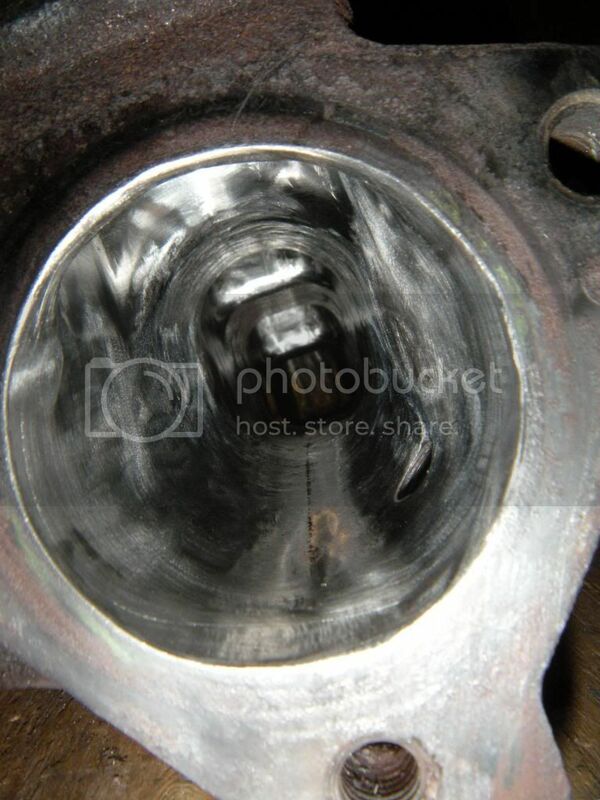 I've seen alot of bad headers on small gasolin engines with turbo. Still making nice hp numbers. And changed too better headers with no gain in performance. Also have seen v8 gasolin headers in Dyno, hitted with hammer, and making better numbers after they where damadge. Sadly we've even seen these bellows installed backwards. Anyway look at the bellows with the thicker wall pipe inserted in the end. We are looking at exactly what the flow is seeing. Now we know that lip sticking inward can't be good for flow. On our up pipes we chamfer that leading edge. These are just a few of the things we think make our up pipes better. Some may argue they aren't enough to help..... but we feel they are. We build every one of our products with this same attention to detail. Please buy quality products and support those made in the USA!!! I'm really glad you guys don't "slot/enlarge" your flange holes, sure it would make install/fit up easier but as you say you're are/can sacrifice flow if you don't get them lined up right. I just posted some of the more obvious. We still have some trade secrets. I'm really surprised no one ever said anything about some of these before now. Last edited by c20elephant; 02-19-2017 at 10:11 AM. Every little thing counts when it comes to airflow!